Lots of things went wrong in trying to get PHP + Composer+ Laravel to work on my El Capitan mac and so I document the quick & dirty instructions below. If you don’t have brew already, everyone’s judging you. EVERYONE. Make sure you configure your brew path to a non-root directory. I’ve set mine to /usr/local/bin . Also, ensure that /usr/local/bin comes before /usr/bin on your PATH variable. For example, add the line below to your ~/.profile or ~/.bashrc or whatever-you-have. Now, you might face this horrendously unhelpful error, in a vivid red background on your terminal:The process has been signaled with signal “5”. $ composer global -vvv require "laravel/installer"
This will now output a series of commands that are being run. Figure out the last command that was tried before the error comes up again. In my case, this was an svn command. To fix this, take a guess…..yes! Re-install svn via brew! And once that’s done, run the the composer install again and you should be fine. 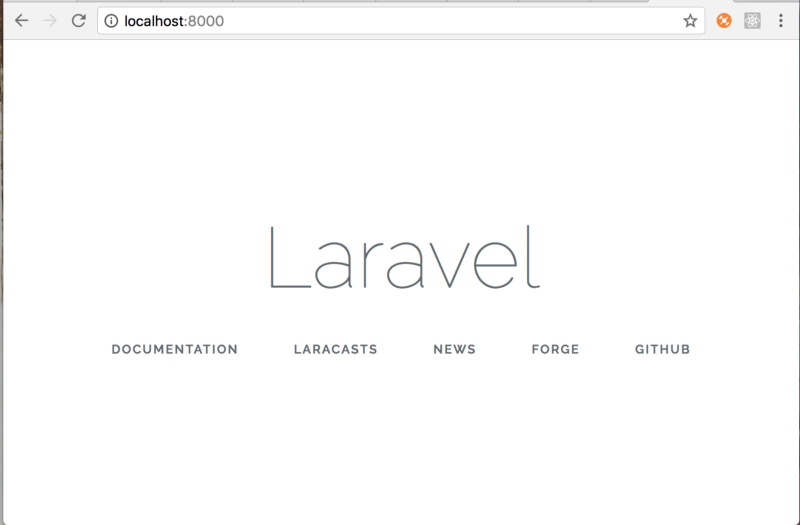 PHP test server serving your Laravel app.